It’s that time of year again. Not like it sneaks up on me, but… Who am I kidding, fall flies by and next thing you know it’s time to find something sparkly to wear to parties and stress about finding the perfect gifts. Once again I think I’ve discovered some pretty interesting items. Links are in the item names. A 7-piece BBQ grill set with a variety of engraving options on the storage box to make it special. 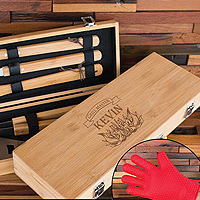 Set Includes: Bamboo travel case, spatula, tongs, brush, fork, knife and a heat glove. Start a fire. Light a stogie. Doesn’t matter if it’s raining or windy or freezing outside, this thing will work. Constructed from lightweight stainless steel, it’s waterproof, small and has a keychain attached so you can clip it to your backpack. 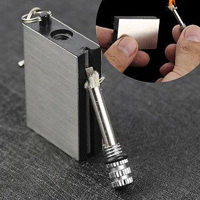 Refillable (lighter fluid not included, btw). Free shipping. Whether you’re outside grilling in sub-zero weather or waiting for Uber to pick you up from a night out, you can still tweet in comfort. 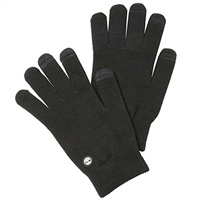 Timberland has incorporated conductive thread into the thumb and first two fingers of each glove. Machine washable acrylic knit with ribbed wrist design and stretches to fit almost any size hand. Multiple colors. 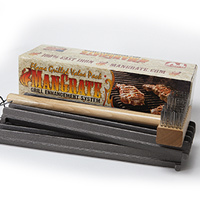 American-made grilling grates from uncoated cast iron. Why is that preferred? Because you get even heat distribution, the patented design ensures reduced flare-ups, a natural non-stick surface and there is no coating to chip off—getting into your food and also allowing moisture to degrade grates from the inside out. Easy to maintain just like grandma’s cast iron pan: spray or rub oil on the grates before and after grilling. Brush. Done. And through 12/31/17 grates and brushes are 50% OFF! I know a few people who could use a set of these…. Enjoy chilled drinks without the dilution of ice cubes. 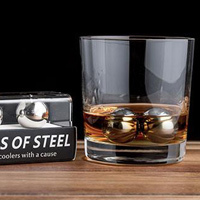 Arctic-core™ cooling technology means these lightweight balls can provide faster and longer chilling of drinks (compared to ice cubes) yet don’t pick up random freezer odors like porous stones. Unlimited use. And 15% goes to MD Anderson Cancer Center. This is seriously cool (no pun intended). Insert your bottle into the insulated metal sleeve and your beer/drink will remain cold while the bottle is protected from breaking. 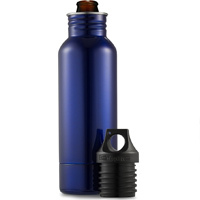 The screw-on cap not only seals your drink, but some models have a built-in bottle opener. Ideal for the beach, tailgating or camping. Multiple designs, colors and designs. What a unique item for the sharp-dressed, whiskey-drinking man on your list. 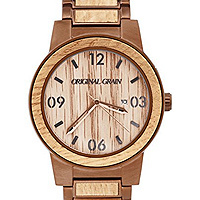 This is hand-crafted by Original Grain of re-purposed American oak whiskey barrels and steel. Quartz movement with analog display, water resistant and scratch-resistant. Free shipping! 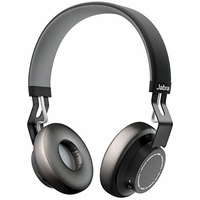 “Clean Scandinavian design meets crisp digital sound,” says the Jabra website. Powerful audio with deep bass response, easy fit and comfortable to wear. Bluetooth (with detachable cable option), easy pairing to music and phone devices, battery power lasts from 8 hours (talk time) up to 12 days (standby). Color options. 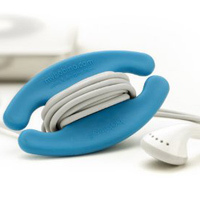 For alternative options—over-ear, in-ear, best bluetooth, etc.—check out Reviews.com. Brilliant stocking stuffer. Now my ear bud cords won’t be a tangled mess at the bottom of the gym bag. Comes in a variety of colors and ships free with Prime. 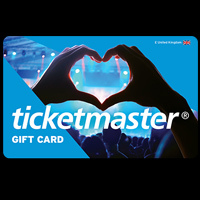 Know someone who loves concerts? You can’t anticipate if their favorite band is coming around anytime soon. Let them pick and the show’s on you! Previous Effingham Manor Winery: Open!